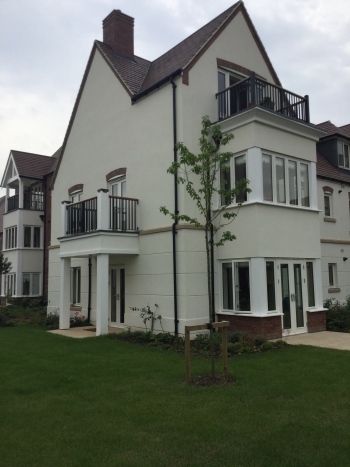 Fassa Bortolo is the supplier of the external wall insulation for the façade of this project to the contractor, Complete Rendering Solutions. The first phase is now finished and the next starts in early October 2017. The whole project will take two years to complete. The ETICS chosen for the ground floor was Fassatherm® Classic using 50mm thick GEPS panels. These are fire retardant and graded 70 E for fire resistance purposes. A96, a cement based adhesive and base coat for reinforcement of the insulation panels was used to fix them to the underlying blockwork. The adhesive which can be machine applied, has a thermal rating of 0.75 W/mK. Cuts were made into the EPS insulation to make it resemble ashlar and give an overall stone effect and it was then covered with a base coat of A96 and a reinforcing mesh. One aspect of installing an ETICS at ground level or below is the importance of not breaching the damp proof course. 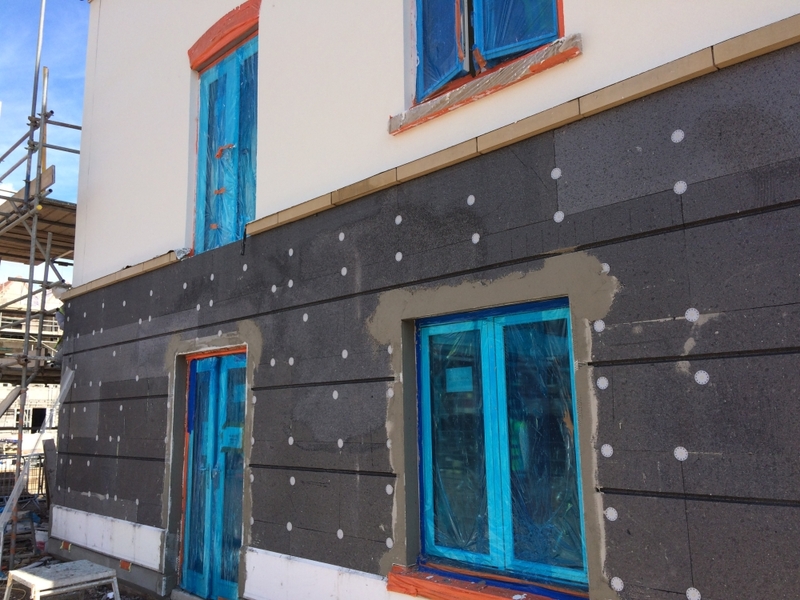 Here Basetherm extruded polystyrene panels which are moulded to improve resistance to water absorption were used below the damp proof course, and Basecoll which works as a waterproofing adhesive and base coat was applied to glue and smooth them off. On the first floor, KI 7, a fibre reinforced lime and cement base coat was applied directly to masonry blockwork. This render waterproofs the wall and acts as a foundation for the subsequent finishing coat. A coat of RX 561 was then applied to the whole façade. This rustic acrylic siloxane finish coat render is excellent at repelling water but still has good breathability and helps reduce mould and algae. The client chose to have a light cream tint from the vast array of colours available from the Fassa Bortolo Colour System.